The weather man was already predicting difficulty for thousands across the UK with warnings being put in place throughout England and Wales. Rivers continued to rise until they had burst their banks. This led to large areas being submerged, which impacted thousands of homes. Thoughts turned to how people would repair the damage and people began talking about how the insurance companies would, or would not, deal with the situation. Insurance companies have been happy enough taking our money over the years – so why now are they refusing to pay out in certain flood cases! ….forcing the PM to state his position on the matter. 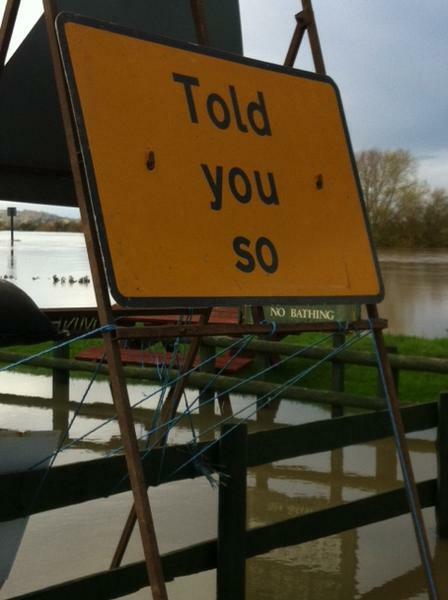 Elsewhere, people continued to go about their daily lives, dealing with the flooding issues by turning to humour. Floods Cause Chaos In MidlandsThere are now over 300 houses with damp carpets in England as ‘Massive Flood Martin’ sweeps across the south and midlands. 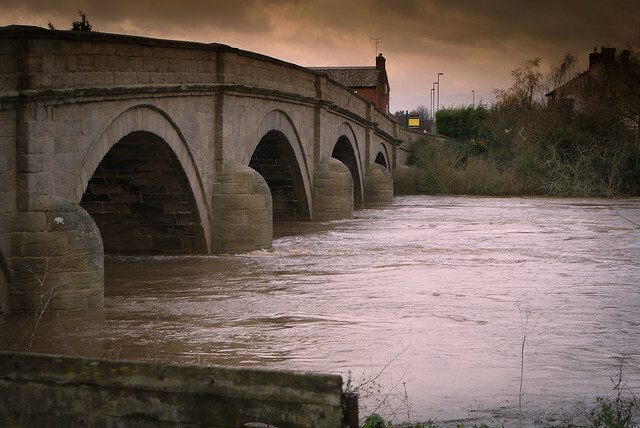 Over 8000 reporters descended on Tewkesbury to film rivers going dead fast and pensioners sweeping out their parlours with brushes and the tsunami wasjhed away entire welcome mats and even the odd plant pot. 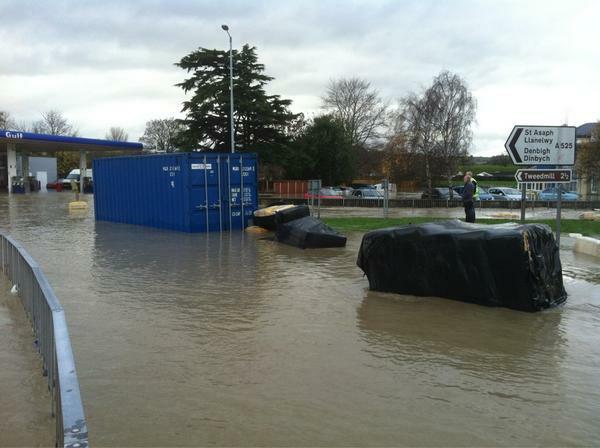 Oil companies deny the freak weather has anything to do with global warming but some locals are now demanding wellies to be provided by central government after the third flood in 400 years. BREAKING NEWS: Environment Secretary Owen Paterson says he can’t protect flood defence budget because Labour built it next to a river. For many, though, the flooding will have a huge impact. 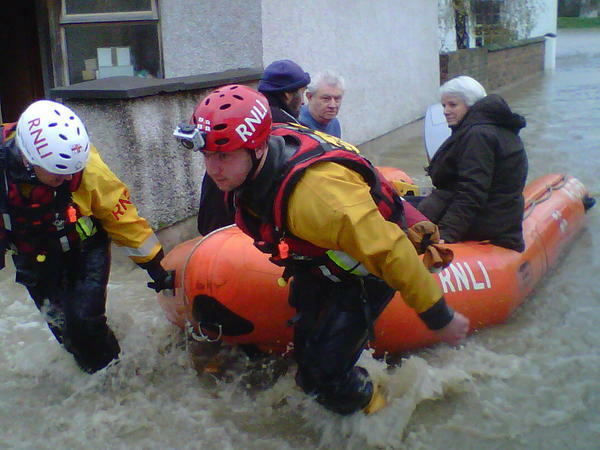 Thousands will need to leave their homes in the run up to Christmas, some by boat. They won’t be alone, however, as many well-wishers flocked to social media sites to show their support. 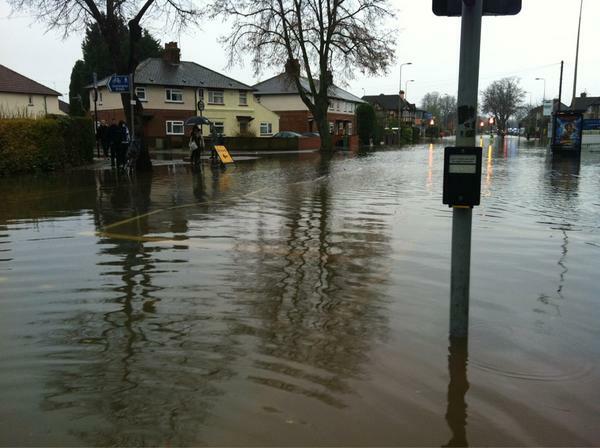 These floods are terrible, I feel so sorry for the poor people whose homes are ruined!! I just pray to god we don’t flood here!! I felt sorry for this poor cow today 😦 surrounded by a flood! The misery will continue for at least a few days yet with further heavy rain forecast up until the end of the weekend and temperatures across the UK set to drop.